I have always wanted to be a pilot. A lot of things have gotten in the way on the road to this goal, most notably me. I have bad eyesight so that cuts down on the ability to be a professional pilot. Training courses are expensive, planes are expensive. And as much as I like the idea of traveling to cool places and flying, being away from my family all the time is just not as cool. I know some professional pilots and even the ones that have routes that bring them home every day or every other day, there is still a lot of time away from home. There was more to my dream than just being a pilot. A lot of people want to be a pilot when they “grow up.” I mean if you can scrape a couple thousand bucks together you can learn to fly. I wanted more than that. I wanted to be like Brian and Joe from Wings, without all the drama from their show. Or maybe Maggie O’Connell From Northern Exposure, but without all the strange deaths of her loved ones, just the bush pilot thing. There is one specific thing I wanted that made my dream unique. (Well I think it did, maybe everyone really wants this and I just don’t know about it.) I have always wanted to fly a Grumman Goose. For those of you who don’t know what one of those is, the picture at the top of the post is of one. That specific one has been updated with turbo prop engines, to give it better range and altitude capability but in general that is what I want. I love the idea of being able to go just about anywhere, to land just about anywhere. The Goose needs both a relatively short take off and landing area and it seats enough people or equipment that it is perfect for a small business that wants to haul people or equipment in and out of remote places. So that is it. 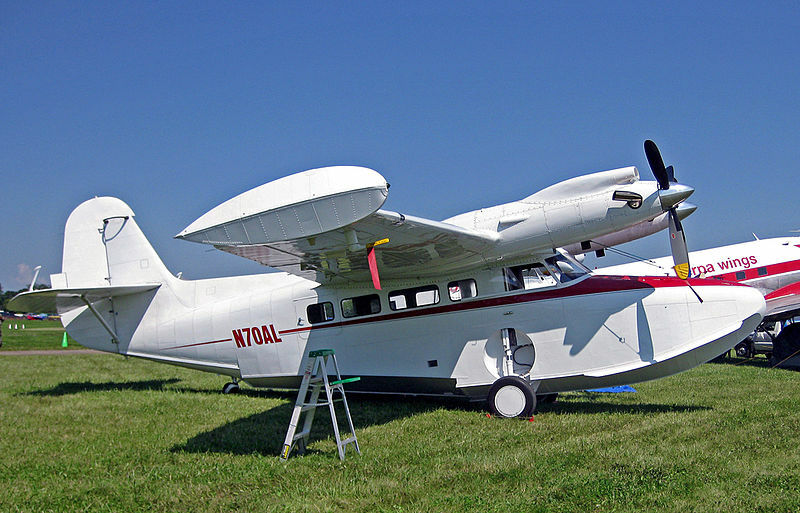 I wanted to own and pilot my own Grumman Goose. One thing that has come up in the last few years that is another snag in my plan. As the owner of a plane it would be nice to be able to use it yourself to do things like take a family vacation. (*Yes I know as a business owner you really can’t do those kinds of things. So sue me, I watched too many episodes of Wings growing up.) The problem is that as my family has gotten bigger, the Goose will no longer fit all of them. I guess I need to expand my dream a bit. I like your approach to the 7 Things About Me meme. I’m off to read thing #2! Thanks. I hope you enjoy them. I have only kind of plotted them out so we will see if they are still interesting by the end of the week.